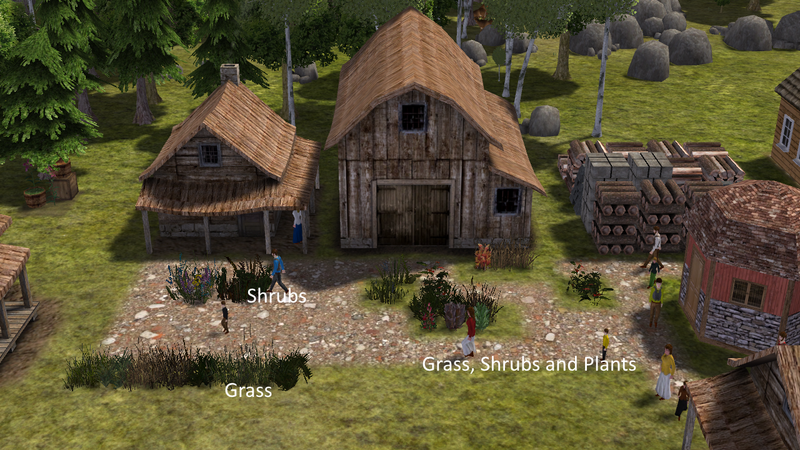 Update Version 4.1 - I have adjusted positions for all plants. The ghosted version was not centered on tile. It is now fixed. They are located under 'services' menu. 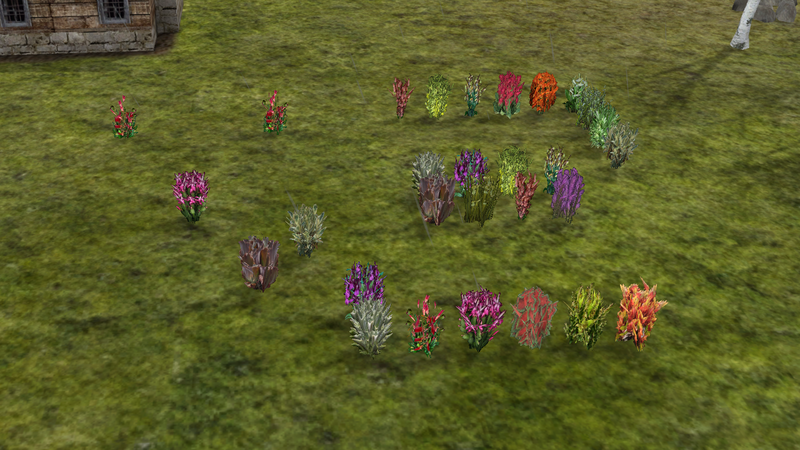 Plants from Clavis' Morrowind resource. 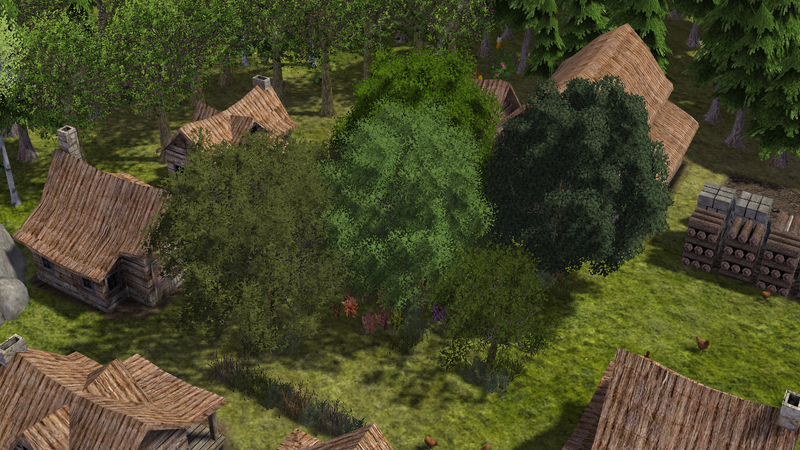 Some editing to put them in Banished. I used some grass resources from Vurt's Morrowind resources. He's been active doing retexturing for Gothic games and Elder Scroll games. I did not find anything to tell I couldn't use these so here they are. them fall) I could put them in game. One placed in the middle of the tile - The other in the corner. The grass is a corner version. The shrub sits in the middle. rows and clusters of plants. Or very dense patches of grass. 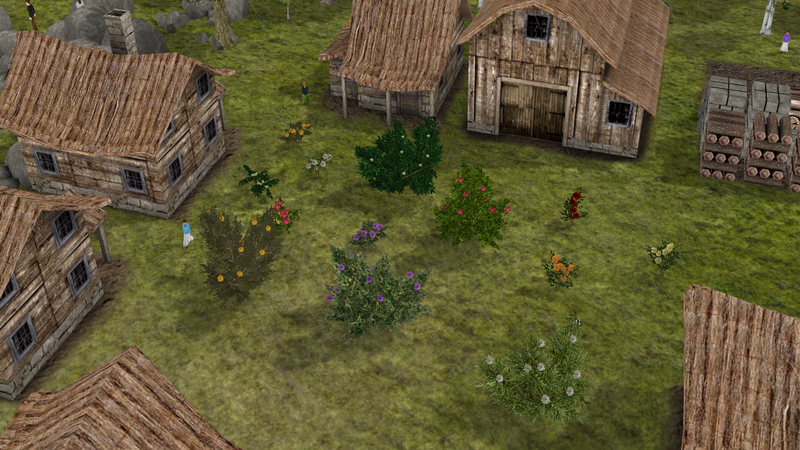 There are 5 each of small/large bushes and 3 rose bushes. Two models (small/large) trees with 6 textures each.